Kristen L. Billiar, professor of biomedical engineering and mechanical engineering at Worcester Polytechnic Institute (WPI) and head of WPI’s Department of Biomedical Engineering, is the first WPI faculty member to be elected a fellow of the Biomedical Engineering Society (BMES), the professional society for biomedical engineering and bioengineering with more than 7,000 members worldwide. Fellow status is awarded to members who demonstrate exceptional achievements in the field of biomedical engineering, and who also have a record of membership and participation in the Society. A member of the BMES board from 2012 to 2015, Billiar has also served as chair of the Student Affairs Committee and the Membership Committee and is the incoming chair of the Education Committee. The 21 new fellows, who will be recognized during the BMES Annual Meeting in Atlanta in October, join 144 other fellows who have been recognized for their outstanding work and leadership. “As researchers, educators, and leaders, this year's class of BMES fellows represents every range of achievement and accomplishment in our field,” said BMES president Lori Setton. Billiar joined the WPI faculty in 2002 after earning a PhD in bioengineering at the University of Pennsylvania and working as a staff engineer at Organogenesis Inc. As director of WPI's Tissue Mechanics and Mechanobiology Laboratory, he seeks to understand how cells in the body’s soft tissues sense and react to mechanical forces, and how those reactions help shape basic cell functions and influence such biological processes as tissue development, repair, and disease. His research team has developed a number of models systems that allow them to study the response of tissues to mechanical forces in the laboratory. A particular focus is how mechanical forces affect heart valves, keeping them healthy in some cases and leading to diseases in others. The same models and methods can be used to help develop effective methods for using mechanical and environmental factors to create better engineered heart valves to be used as replacements for patients whose valves are failing. Billiar’s research has been supported by significant funding from the Whitaker Foundation, American Heart Association, National Institutes of Health, National Science Foundation, and Department of Defense. Billiar is one of the faculty directors for WPI’s membership in the Advanced Regenerative Manufacturing Institute (ARMI), one of the 14 national Manufacturing USA institutes established by the federal government to advance manufacturing of all kinds in the United States; WPI is a member of eight of the institutes. 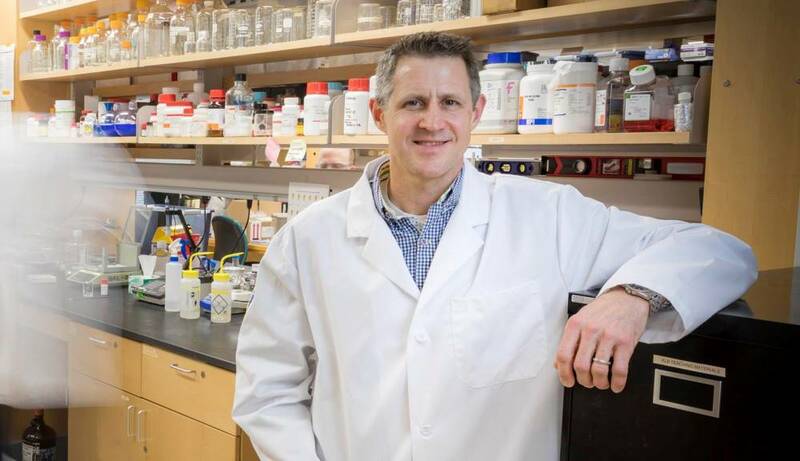 Led by Dean Kamen ’73, founder of the New Hampshire-based DEKA Research & Development, ARMI launched BioFabUSA, which promotes research and development in regenerative biology, tissue engineering, and biomanufacturing. In 2005 Billiar received WPI's Romeo Moruzzi Young Faculty Award for Innovation in Undergraduate Education for developing a formal mentoring system to meet the challenge of providing experiential learning opportunities for students in his laboratory courses. He received the Trustees’ Award for Academic Advising in 2008. In 2009 he was awarded a Fulbright Scholarship to work at the National University of Ireland Galway on research and education related to tissue engineering. A member of the American Society of Mechanical Engineers (ASME), an associate editor for ASME's Journal of Biomechanical Engineering, and a past member of the executive board of the ASME Bioengineering Division, he was elected an ASME fellow in 2014 (only about 2 percent of ASME's more than 130,000 worldwide members have attained the fellow grade). He was elected to the American Institute for Medical and Biological Engineering (AIMBE) College of Fellows in 2016. Billiar is also a Coleman Faculty Entrepreneurship fellow at WPI.